Do you have a great business idea? The McGill Dobson Cup Start-Up Competition is an opportunity to present your business and social enterprise ideas to seasoned business experts for feedback, mentorship, and a chance to win over $100,000 in start-up capital! Do you have a great business idea? 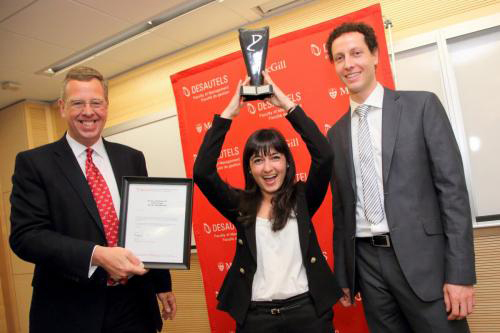 The McGill Dobson Cup Start-Up Competition is an opportunity to present your business and social enterprise ideas to seasoned business experts for feedback, mentorship, and a chance to win over $100,000 in start-up capital! Open to McGill students, alumni faculty and staff. Business plans due Feb. 19-26. Find out more.